Widely known and influential American evangelist, William Franklin Graham, popularly known as Billy Graham is dead. The Christian American Evangelist was confirmed dead today at his home in Montreat, North Carolina by the Billy Graham Evangelistic Association. In his 60-year long mission as an evangelist, he is estimated to have personally preached to 210 million people. 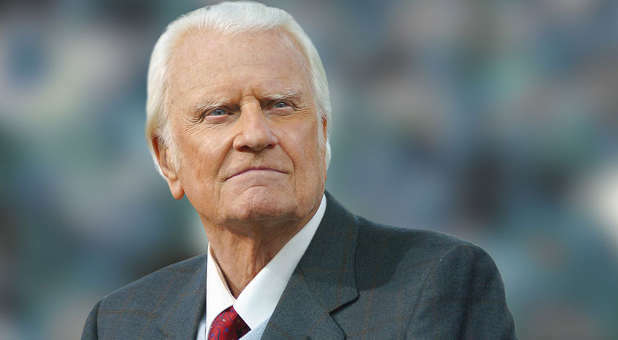 According to his staff, more than 3.2 million people have responded to the invitation at Billy Graham Crusades to “accept Jesus Christ as their personal saviour”. Billy, who was born in Charlotte, N.C., on November 7, 1918, spent his last few years on earth, suffering from cancer, pneumonia and other ailments. He was diagnosed with Parkinson’s disease in 1989, felled by broken bones, bouts of hydrocephalous and rounds of pneumonia. Graham influenced culture on a bigger dimension; serving as a counsellor to several U.S. presidents. Billy Graham is dead but, no doubt, his materials, teachings and resources will definitely guide several generations in their Christian walk. Rest in Peace, Billy Graham. Thank you for your commitment, resilience and doggedness to seeing this gospel preached all over the world.